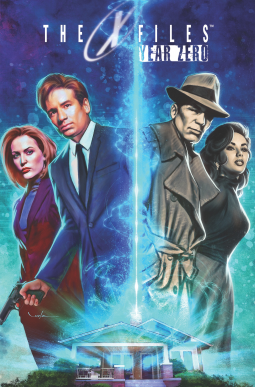 This was one hell of a good book; if you're a fan of the X-Files, you'll love this one. This book takes you back to the 1940's, to the very first case; the one that led to the creation of the X-Files. Mulder and Scully are investigating a series of mysterious deaths, along the way they receive cryptic clues sent by a Mr. Zero; and that there has Mulder seeing the similarities and possible connection to the very first case. The book was awesome, out of all the characters, my favorite was Miss Ohio, the very first employee, to receive the clues. Damn 1940's, sexist FBI that didn't allow women agents; either way, agent or no agent, she was awesome. There is a lot of dialogue, so if you don't like to read, this probably won't be to your liking, but other than that, very good.